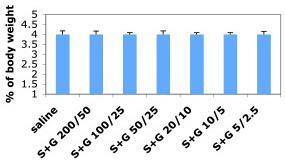 Source Optimized DNA sequence encoding Rat SCF mature chain was expressed in Escherichia Coli. Molecular weight Native Rat Stem Cell Factoris generated by the proteolytic removal of the signal peptide and propeptide, the molecule has a calculated molecular mass of approximately kDa. Recombinant SCF is a disulfide-linked monomer protein consisting of amino acid residue subunits, andmigrates as an approximately18 kDa protein under non-reducingand reducing conditions in SDS-PAGE. 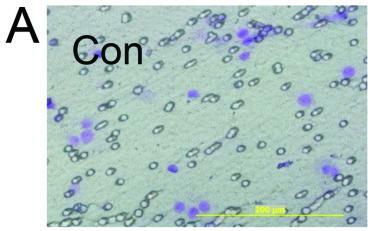 Presentation Recombinant Rat Stemcell factor was lyophilized from a.2 μm filteredNaHCO3 solution. Pathological examination of livers and kidneys after SCF+G-CSF treatment during chronic stroke in aged mice. S+G 200/50: SCF (200 μg/kg) in combination with G-CSF (50 μg/kg). Effect of stem cell factor (SCF) on cardiac stem cell (CSC) migration in vitro. Representative images of migrated CSCs treated with varying concentrations of SCF by Transwell-based migration assays.